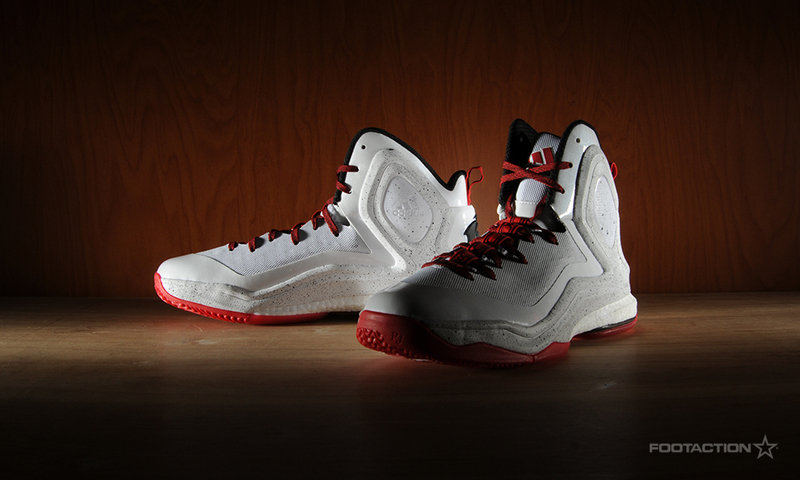 With the 2014-2015 rolling out in full effect, Derrick Rose’s latest signature sneaker arrives in a brand new colorway to be worn while playing in Chicago. 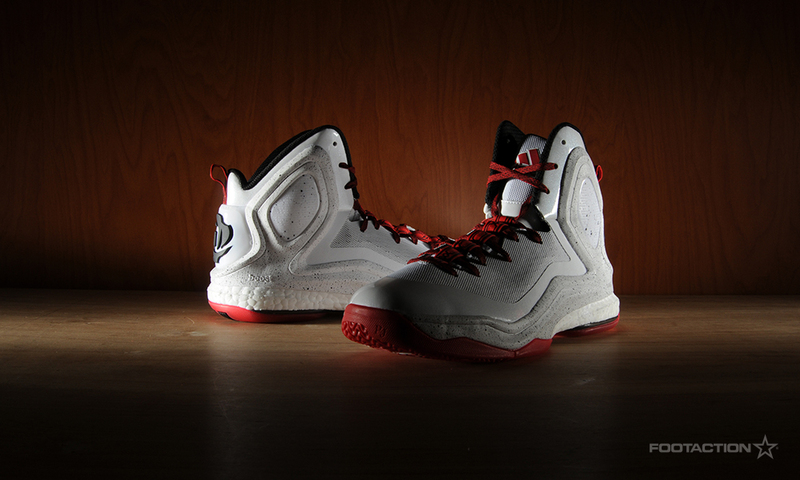 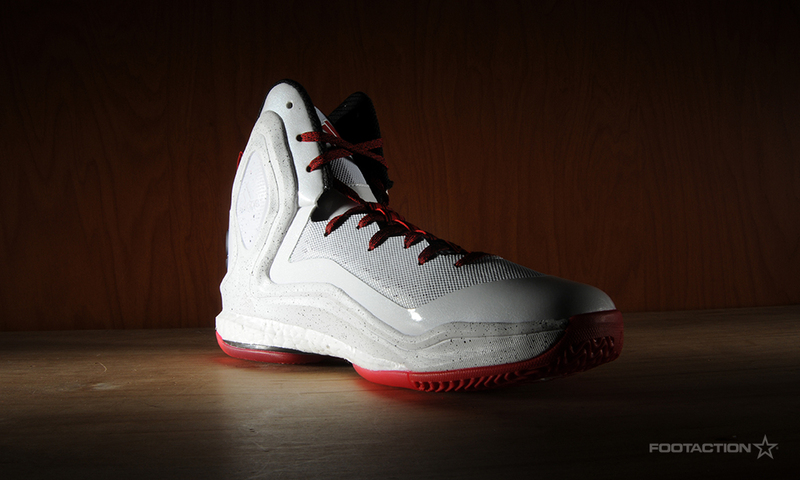 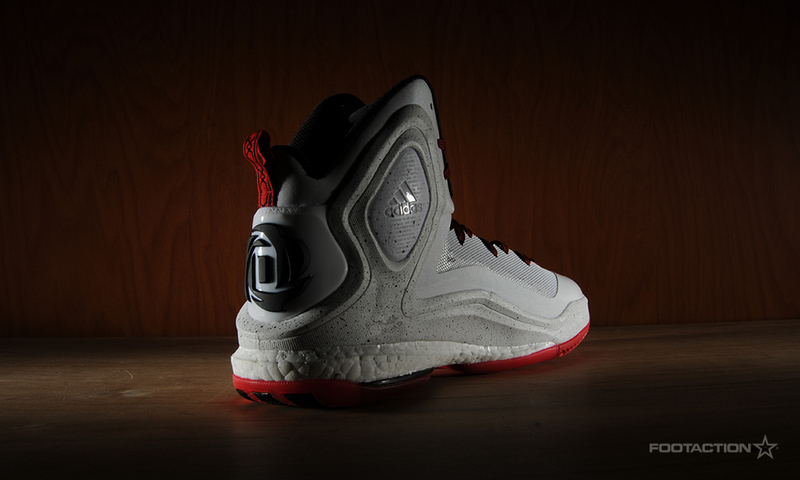 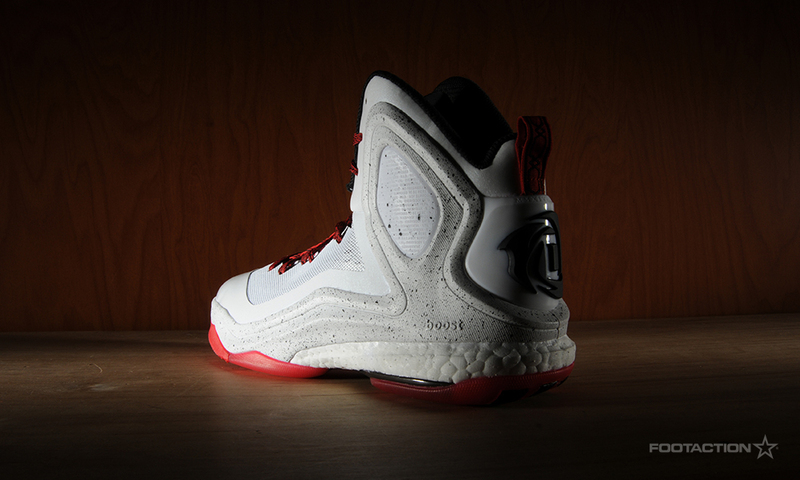 As a Chicago native, the adidas D Rose 5 White/Black/Red makes these kicks even more special. 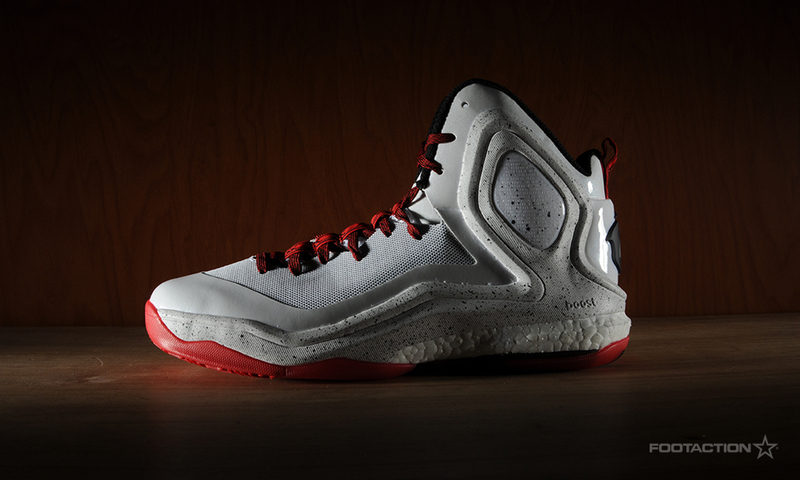 Sporting a primarily white scheme, with a white SPRINTWEB upper, patent leather detailing, and a black speckled Fit Cage, it’s really the mix of materials and graphics resembling Chicago architecture that makes this one great. 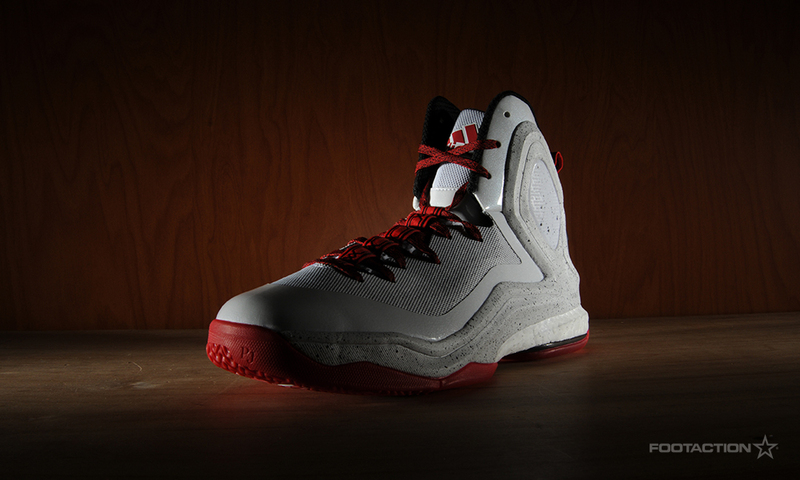 To top it off, the sneaker sits atop a translucent red outsole.